Sarah Nader- snader@shawmedia.com Navy veteran Art Strass of Crystal Lake is recognized for his service during Thursday's Veterans Day ceremony at McHenry County College in Crystal Lake Nov. 11, 2016. 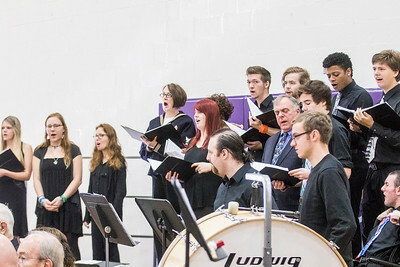 The McHenry County College band and chorus performed patriotic music during the event. 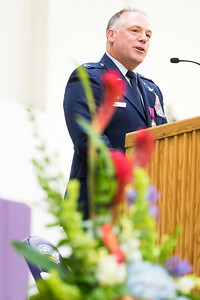 Sarah Nader- snader@shawmedia.com Keynote speaker retired U.S. Air Force Col. Craig A. Wilcox of McHenry spoke during Thursday's Veterans Day ceremony at McHenry County College in Crystal Lake Nov. 11, 2016. 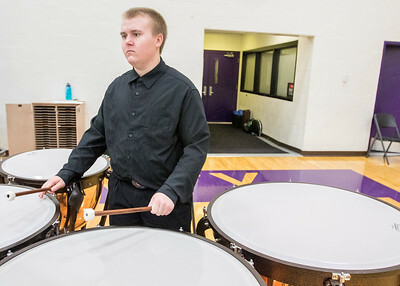 The McHenry County College band and chorus performed patriotic music during the event. Sarah Nader- snader@shawmedia.com Matt Carter, 19, of Cary performs during Thursday's Veterans Day ceremony at McHenry County College in Crystal Lake Nov. 11, 2016. The McHenry County College band and chorus performed patriotic music during the event. Sarah Nader- snader@shawmedia.com Don Rhodes of Crystal Lake plays the trumpet during Thursday's Veterans Day ceremony at McHenry County College in Crystal Lake Nov. 11, 2016. The McHenry County College band and chorus performed patriotic music during the event. Sarah Nader- snader@shawmedia.com The McHenry County Chorus performs during Thursday's Veterans Day ceremony at McHenry County College in Crystal Lake Nov. 11, 2016. The McHenry County College band and chorus performed patriotic music during the event. 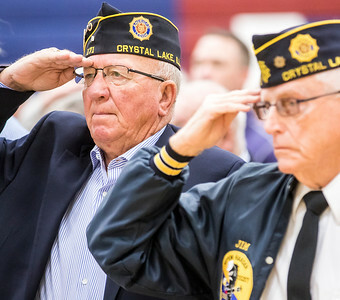 Sarah Nader- snader@shawmedia.com Navy veterans Tom Aellig (left) of Crystal Lake and Jim Dyson of Crystal Lake listen to the National Anthem during Thursday's Veterans Day ceremony at McHenry County College in Crystal Lake Nov. 11, 2016. The McHenry County College band and chorus performed patriotic music during the event. 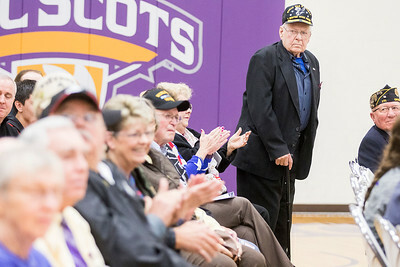 Navy veteran Art Strass of Crystal Lake is recognized for his service during Thursday's Veterans Day ceremony at McHenry County College in Crystal Lake Nov. 11, 2016. 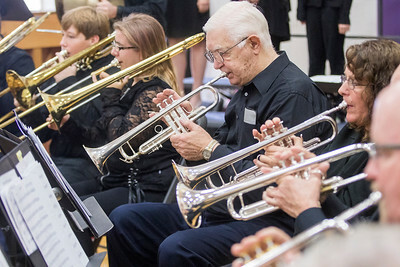 The McHenry County College band and chorus performed patriotic music during the event.